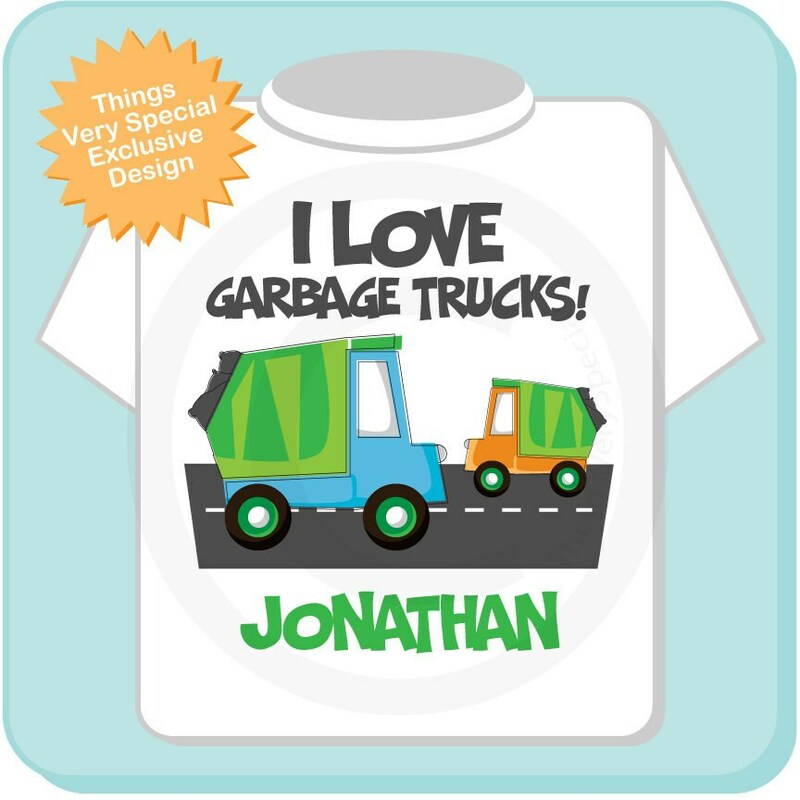 Super cute I Love Garbage Trucks tee shirt or Onesie. 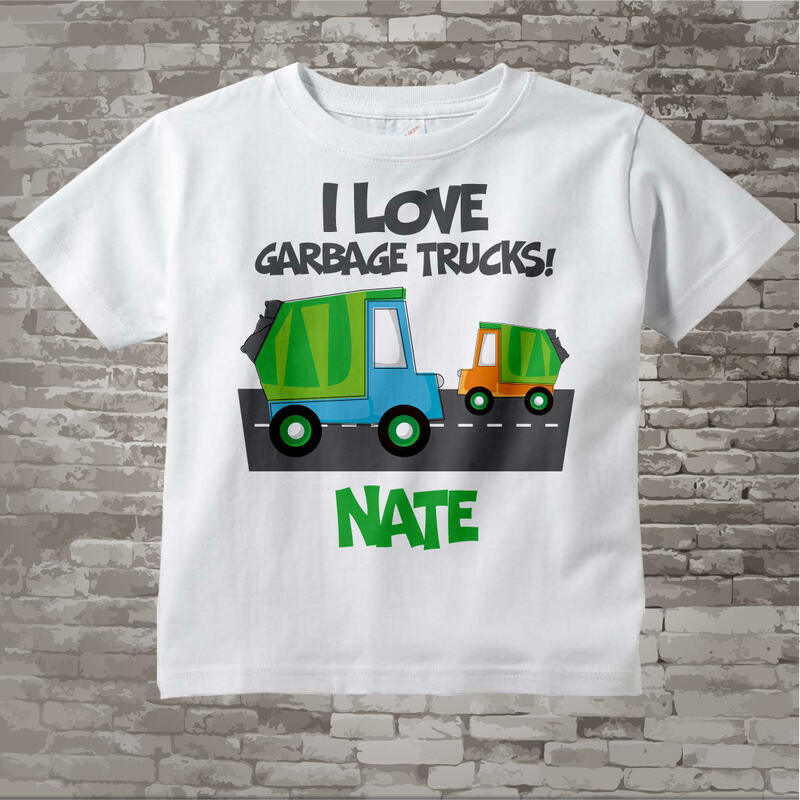 This cute green and blue Garbage truck is great for the little boys this one has a little orange garbage truck as well. Great seller to work with. Very responsive and interested in getting my order just right. This was so cute!! Thanks!! Super fast shipping. 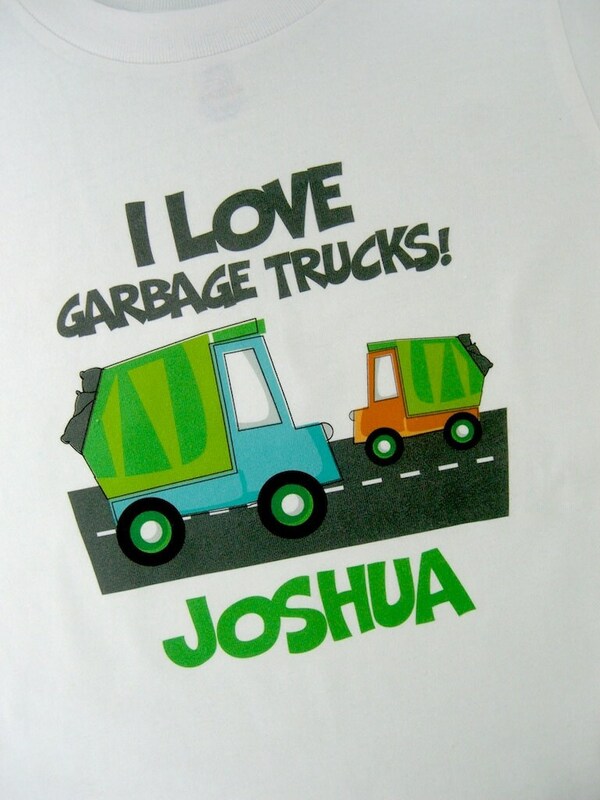 Such a cute shirt - love it!